Dr. Jeff Lovell believes truth and truth telling have to be the basis of intimate human behavior and relationships. He uses the relationships in his book "Emerald" to show examples of good and bad relationships. People said that nobody escaped alive from Blackbeard’s Queen Anne’s Revenge, yet one of his wives, Prudence Lutrelle, manages a daring escapes and survives. She leaves the ship bearing a beautiful Emerald necklace. Many years later the necklace gives her descendant, Anna O’Neill, a hint at recovering the treasure of Blackbeard. Anna, accompanied by her life time love Casey, travel to a remote island in North Carolina to search for the treasure with which she will ransom her daughter, kidnapped by her husband in a daring insurance fraud plot. Anna’s husband, in desperate financial straits, has engineered a scheme to follows them to the island, intent on killing his wife, Casey, and their seventeen year old daughter and making away with the treasure. 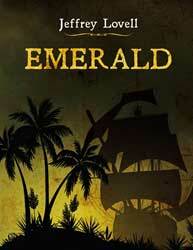 Emerald begins with a pirate assault on a merchant vessel. Blackbeard, or Edward Teach, terrorized the east coast of America from Nova Scotia down to the Virgin Islands. This book shows how people with a unique mental power called the Knack fight against the evil of pirates from 1715 to the present day. It even includes a long look at the court of King Arthur and his chief adviser Myrthynne, who also had the most powerful manifestation of the Knack. Writer Bio : Jeff Lovell is a native Chicagoan, with 3 degrees from the University of Illinois and an earned doctorate from Vanderbilt University. Jeff taught high school writing and literature for thirty-three years and sponsored the school paper, Student Council and several other activities. 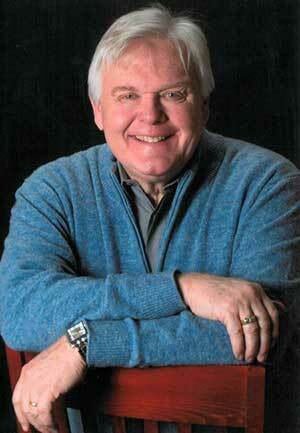 He ran the drama program at two high schools, teaching and directing and designing sets, lighting and costumes. His specialties in his career included Shakespeare, British Literature, and Writing as well as Computer Science. Since he retired from education, Jeff has served as a theater and film critic for a television station and appears frequently to review theater and literature. Other books of his include "Acid" and "The Coven of the Spring."